The Kootenay mountains are famous for the light, dry snow the region gets. 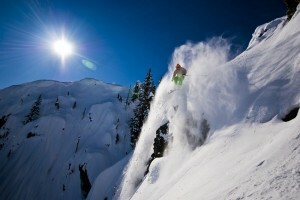 Red Mountain Ski Resort gets more than 300 inches of light powder annually. Add in its 2,919 feet of vertical and you’re talking lots of steep and deep. 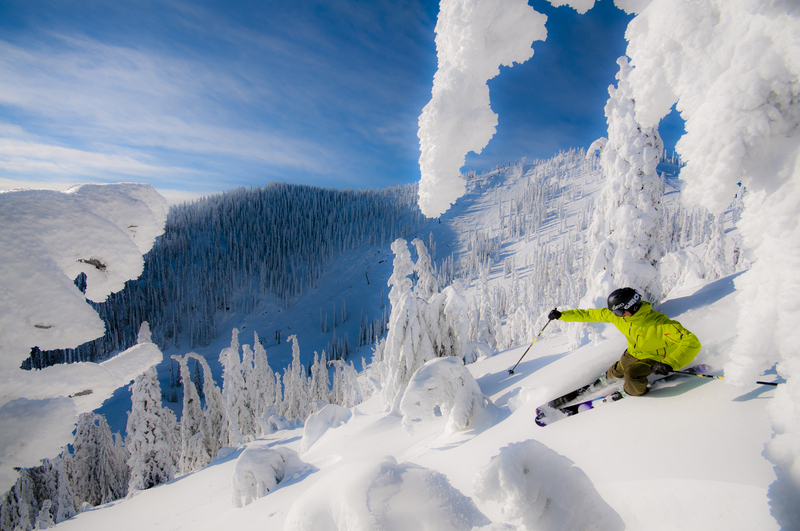 Powder days are nearly every day at the ski resort located near Rossland, a scenic mining town in British Columbia. Red Mountain added another mountain this winter. “Not only does the expansion increase Red’s skiable terrain by about 1,000 acres, it also adds wide terrain variety — from groomed cruising runs to tree glades and alpine chutes,” explained Chris Cushing of Snow Engineering Group, one of the ski resort industry’s design firms. “This project is one of the most dramatic transformations of an existing major ski area that we’ve seen and it is one of the largest — if not the largest — single-season ski area expansion projects in North America in several decades,” Cushing added. We decided to check out this hidden gem on a ski trip last year. It takes a little work getting to Red from Los Angeles, but it is well worth the effort. Fortunately, the route proved easy to follow with no major mountain passes to negotiate in the softly falling snow. Soon we made it to the base of the mountain, where we were staying in the Slalom Creek condos. It’s a winter wonderland at Jackson Hole Mountain Resort. Over 2.5 feet of snow have fallen this week to create a Christmas paradise for skiers and riders visiting the Tetons. 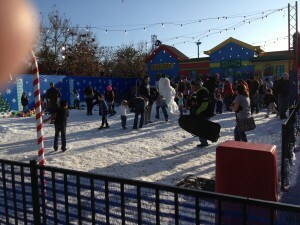 There’s snow at LEGOLAND California! Real snow! 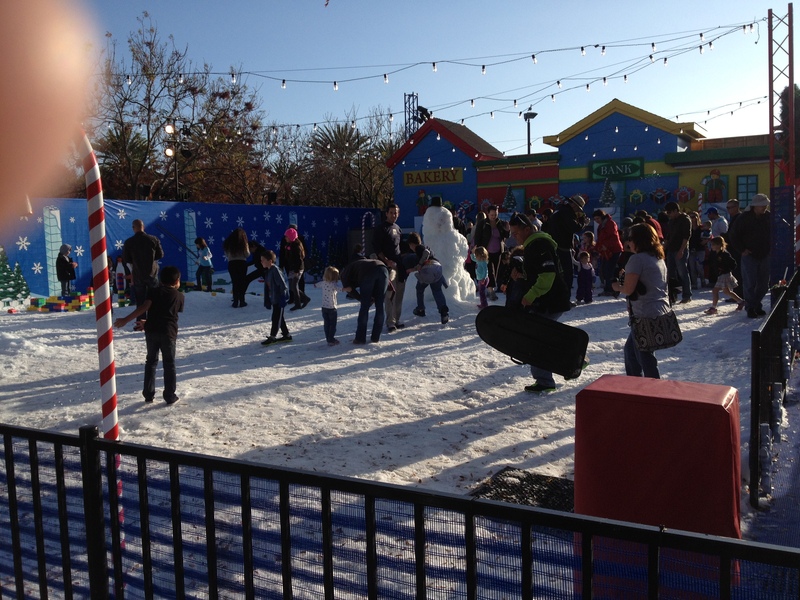 At Holiday Snow Days in Fun Town you and your family can tube down a snow slide, build a snowman using LEGO models of carrots and other fun pieces and test your aim by throwing snowballs at targets. 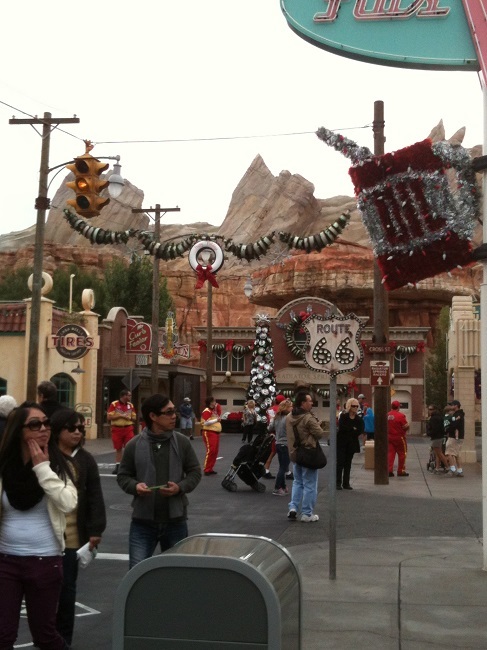 Cars Land has lots of adorable decorations for Christmas. At Disney’s California Adventure, you’ve got to see the decorations in Cars Land. They’re adorable with whitewall tires for wreaths, snowflakes made of socket wrenches and trees decorated with hubcaps. So creative. The new “World of Color Winter Dreams” show is also fun. Get your Fast Pass early (near Grizzly Rapids) for a prime spot (though if you’re short like me, all you see is half the show the top half!). But the music is good, including songs from this winter’s hit movie, “Frozen,” and the colors are lovely. Wear your jacket. If the wind blows you might get wet, because the images are projected on a sheet of water. DCA also celebrates the holidays in Disney Viva Navidad! with time-honored Latino traditions with entertainment, seasonal foods and family activities. Three Kings Day (Dia de los Reyes Magos) will be celebrated Jan. 3-6 with folklorico dancers, mariachis and special activities. New Year’s Eve celebrations will rock the park. In Downtown Disney, go skating at Olaf’s Frozen Ice Rink, then warm up with goodies from the Winter Village. Both are near the AMC Theater. There’s still lots of holiday cheer at the Merriest Place on Earth. Christmas may be Wednesday, but the holiday season continues for three more weeks at the Disneyland Resort. 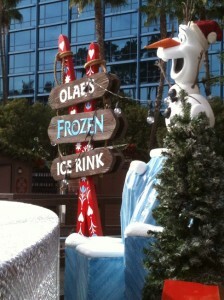 Holiday decorations will be up through Jan. 6 at both parks and Downtown Disney. Outside Small World is an excellent place to watch the nightly park illumination. 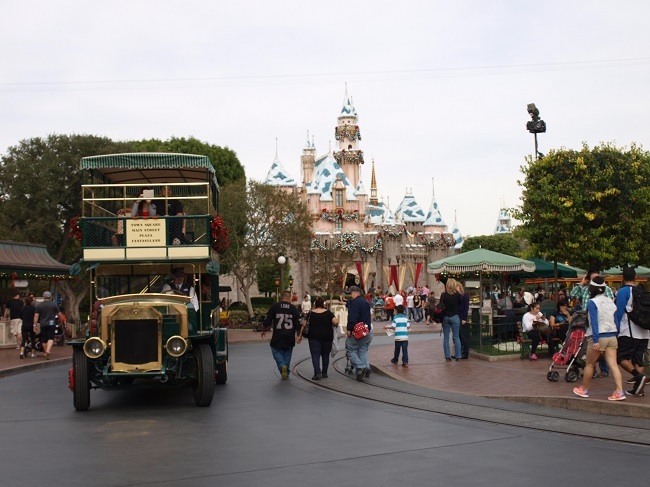 Ask a cast member what time they will be turning on the lights, then get a good spot in front of Small World or on Main Street to see the magic happen. Speaking of magic, Sleeping Beauty’s Castle is covered in snow and glittering ice, which looks particularly beautiful under the lights. Every night, after the “Believe … in Holiday Magic” fireworks show, it snows on Main Street. That’s Disney magic. Oh, and at midnight on Dec. 31, they will present New Year’s Eve “Fantasy in the Sky” fireworks spectacular that’s in addition to the Holiday Magic show at 8:30 p.m.
Other holiday specials include “A Christmas Fantasy” parade and Haunted Mansion Holiday. If you like “Nightmare Before Christmas,” now’s the time to visit Haunted Mansion and see what Jack Skellington and his crew have done with the place. Also, take a Jingle Cruise it’s the first holiday makeover for the Jungle Cruise, with all new jokes! Ken Burns’ movie “Yosemite: A Gathering Of Spirit,” celebrates the early park stewards, including the creator of New York City’s Central Park, Frederick Law Olmsted, who funded the park’s first biological survey out of his own pocket. 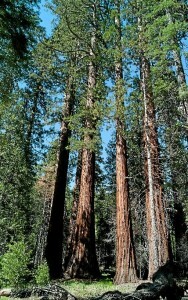 Galen Clark, appointed as Yosemite’s first superintendent, guarded Mariposa Grove from commercialization attempts while Congress withheld his salary for four years. Script writer Dayton Duncan said the October shutdown of the federal government reminded the American people once again — and the members of Congress who voted for the shutdown — of the value of America’s national parks, monuments and forests. Without the idea of preserving wildlands that started June 30, 1864 during the Civil War, when Abraham Lincoln signed the Yosemite Grant, there would be no Yellowstone, technically the nation’s first national park. There would be no cathedrals of earth and stone, as Europeans call Yosemite, Zion, the Grand Canyon, etc. 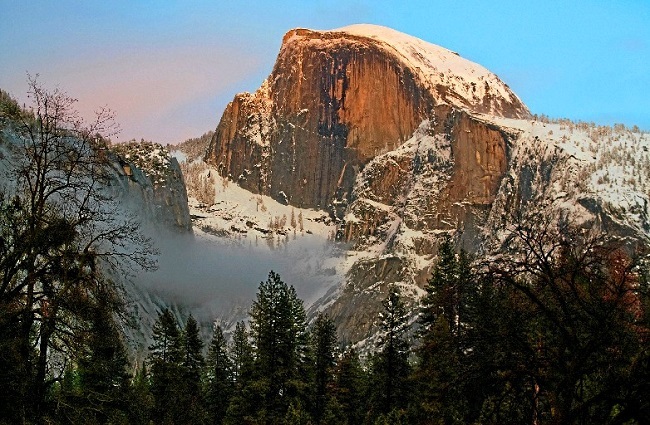 Nearly 150 years ago, with 11,000 men dying each day and a nation on the verge of splitting apart, Lincoln signed the Yosemite Grant, which gave the land to California. 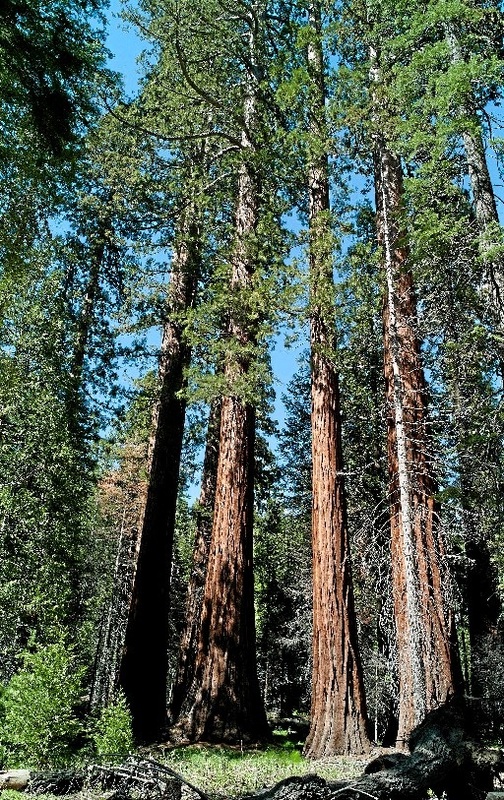 But without funding or enforcement, some of the giant sequoias of Mariposa Grove were logged and Alpine Meadows became denuded by flocks of grazing sheep from poaching herders. It took visionaries such as the Scottish-born John Muir and later, President Theodore Roosevelt, to persuade Congress to make Yosemite a true national park. Ken Burns and Dayton Duncan view Yosemite as the birth of an idea that grew into America’s national parks, which led to saving animal species from extinction, such as the bald eagle, and the bison and wolves of Yellowstone. Returning to Yosemite Valley to shoot the film “Yosemite: A Gathering Of Spirit,” after spending 10 years making the National Parks series, Burns found himself on a hike near Bridalveil Fall with his daughter when they saw a migrant family whose daughter, about the same age as Burns’ daughter, began dancing in and out of the fall’s mist.